…is the women’s group for our church and is open to women of all ages, whether you attend Surrey Chapel or not. We meet once a month and alternate between social evenings, when we drink tea and coffee, munch cake and chat (with optional games / quizzes etc for those who wish) and events evenings, when we have more formally arranged activities. These range from trying our hands at various crafts to taking part in a self-defence workshop, so we try to cater for every interest! As well as nights based at Surrey Chapel, we go out for meals and visits together. Active8 is a brilliant way to meet new friends and to support and encourage each other too. If you haven’t been before we would love to see you. Most meetings start at 8pm at Surrey Chapel (unless otherwise stated) and you can be assured of a warm welcome. Some events have been so popular that some separate groups have been set up. These run every couple of months – come for the whole session or just part of the day. Bring your own craft work and enjoy the company or pick up new crafts and techniques from others. Refreshments are provided but bring your own lunch if you are coming for the whole day. These afternoons run monthly, usually the last Monday in the month for anyone who enjoys sewing. Come along and join us. 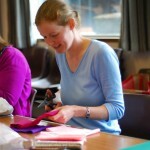 We are learning how to make quilts for the Linus Project (comfort quilts for ill, abused or bereaved children – http://projectlinusuk.org.uk). 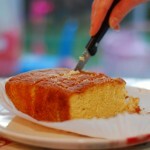 Tea and coffee (and often cake) are provided.